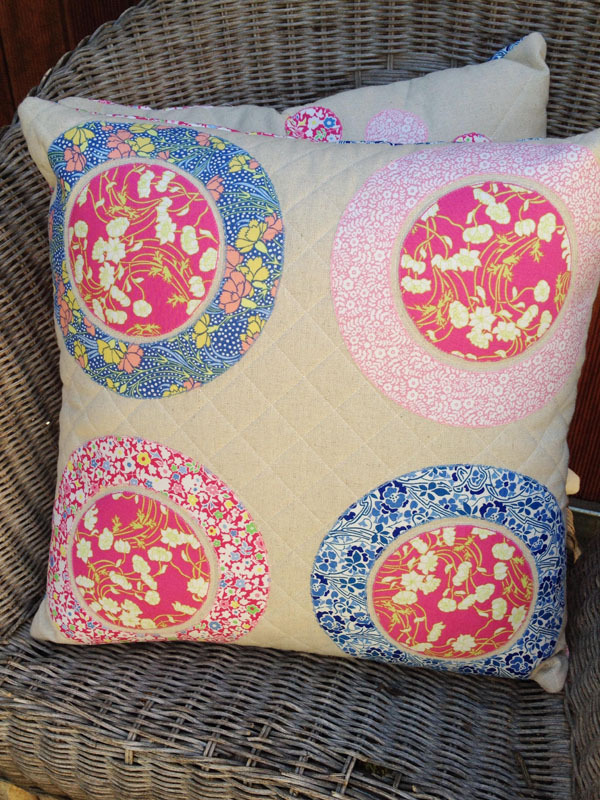 A few months ago I was asked to create a project using the beautiful range of Liberty Fabrics. 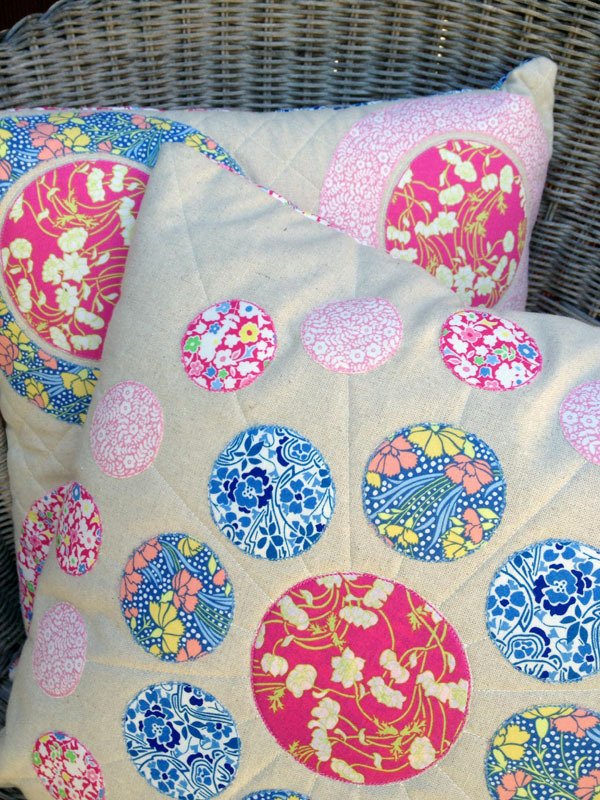 I chose to create a pair of cushions using raw edge applique and circles. I hope you enjoy making these cushions as much as I enjoyed desgining them! Meredithe: How exciting! The Liberty Craft Blog!! They look lovely Emma. Congratulations.